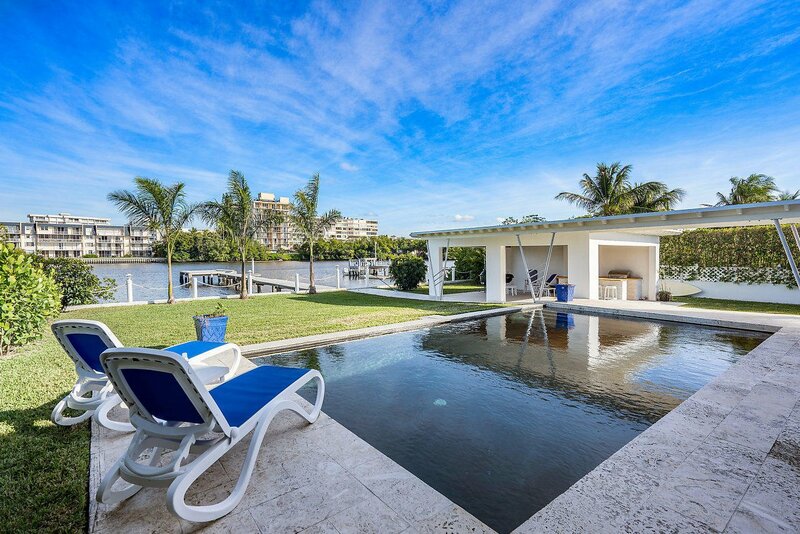 Fabulous Waterfront Living Can be Yours on Exclusive Hypoluxo Island!This waterfront pool home has been completely renovated and offers a revamped layout with a split bedroom floor plan, a large new kitchen, remodeled baths, new flooring, fixtures and pool/patio areas.A recently built outdoor summer kitchen makes entertaining easy, and access to your boat is just a few steps from your new dock that has both water and electrical available. 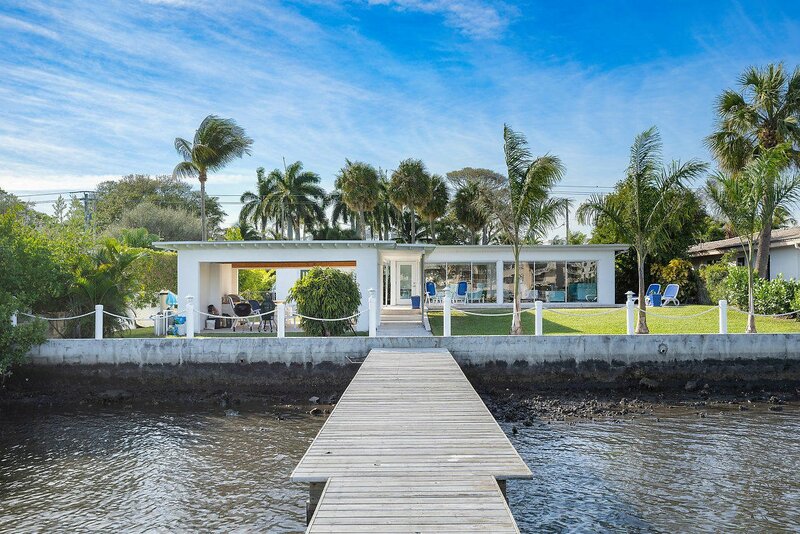 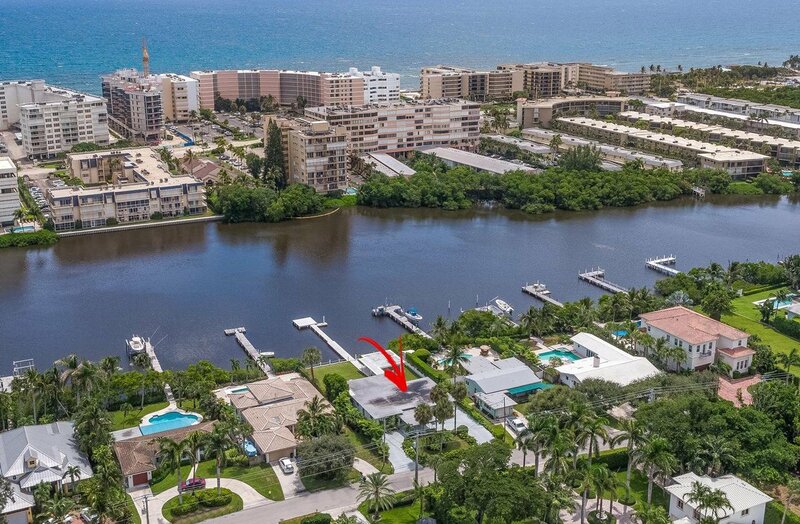 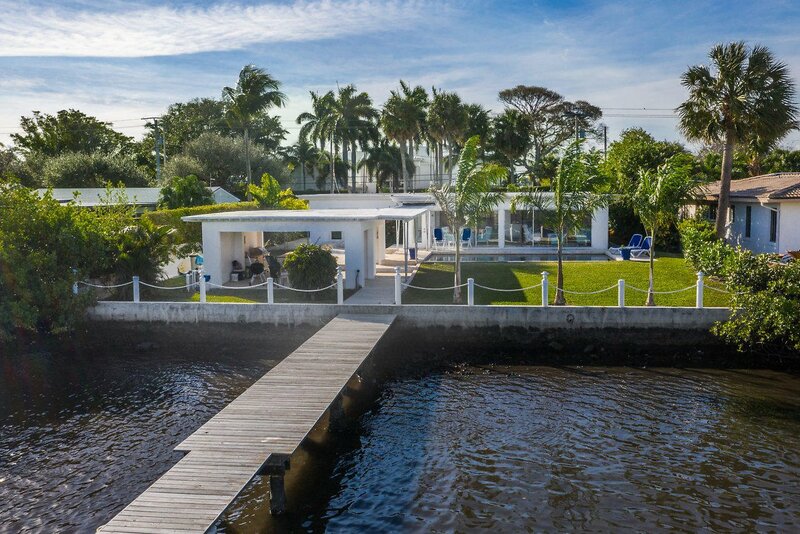 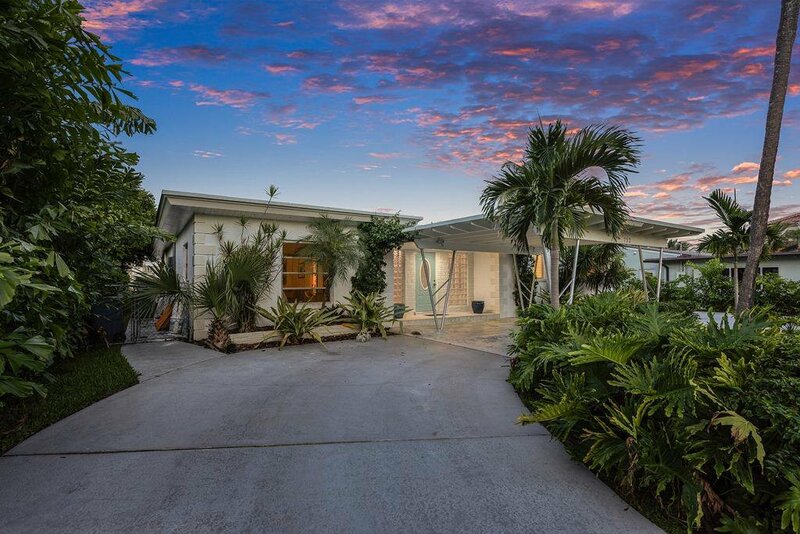 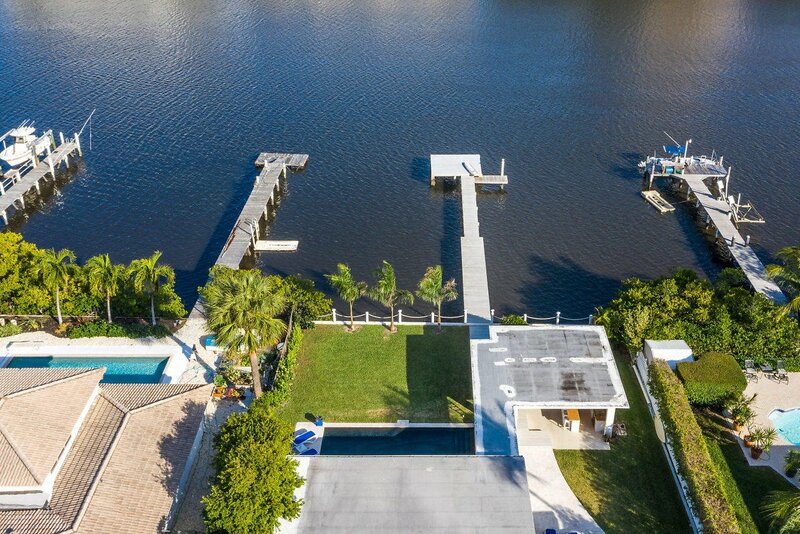 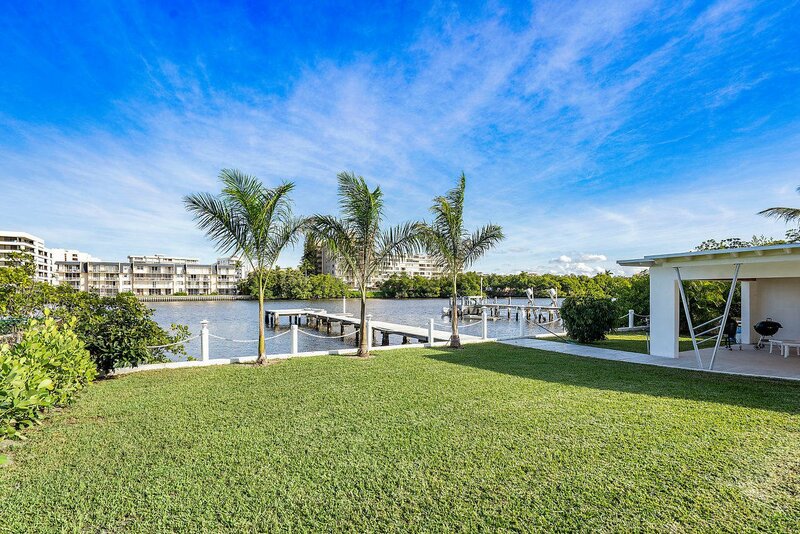 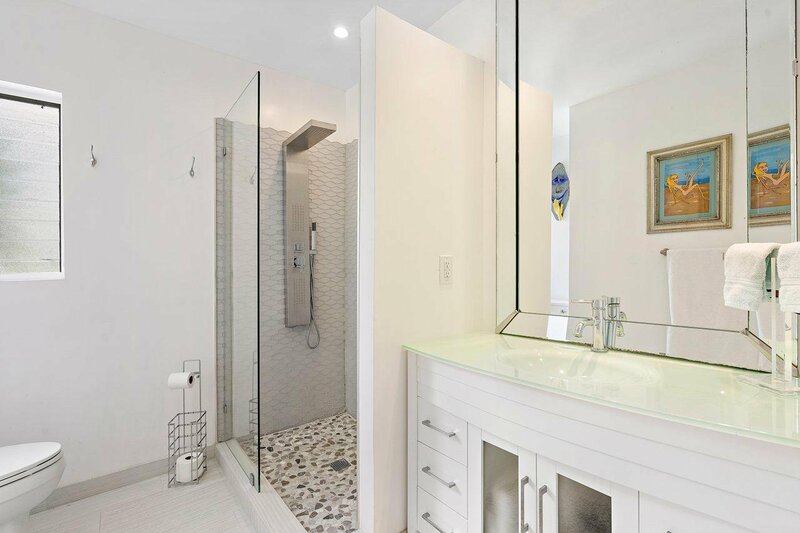 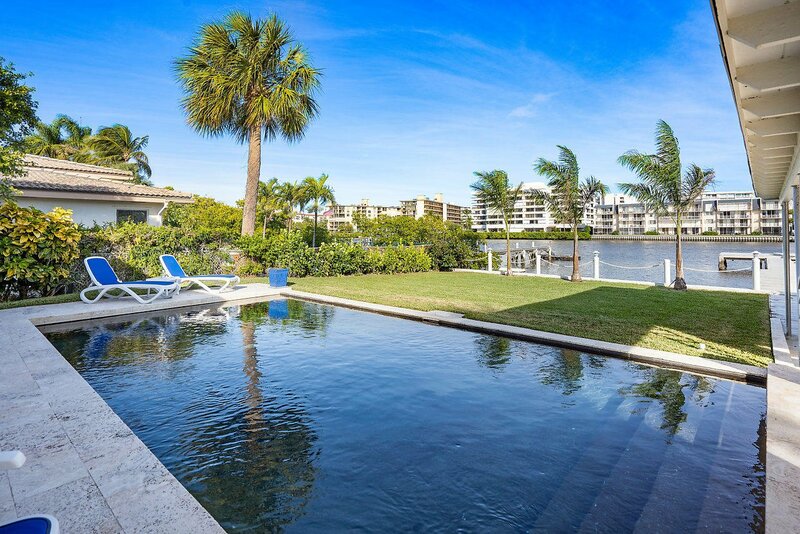 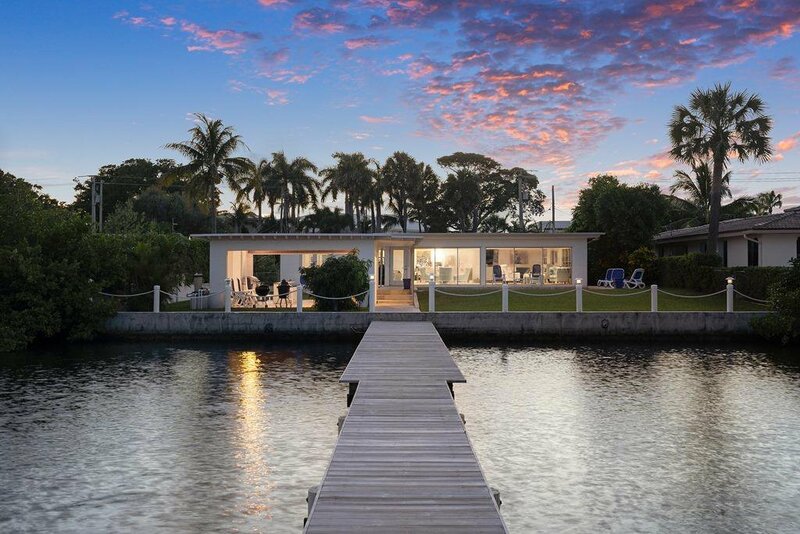 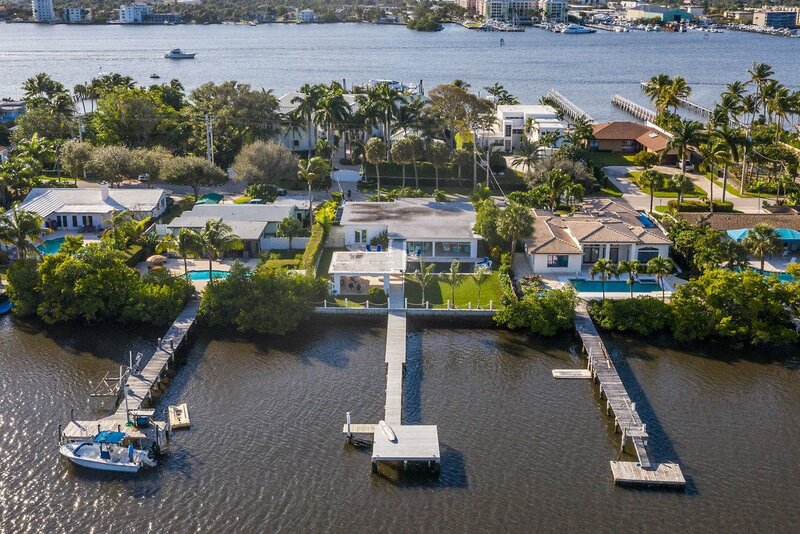 This is the perfect Intracoastal location for kayak enthusiasts and boaters seeking easy ocean access with no fixed bridges. 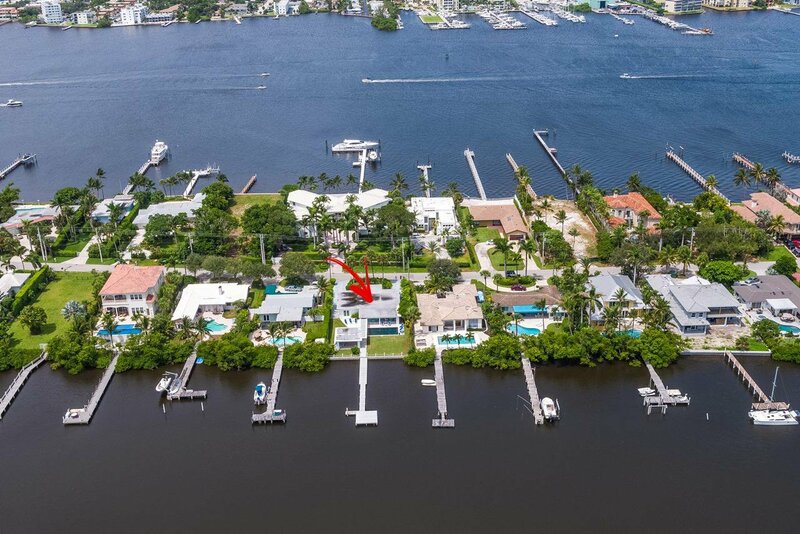 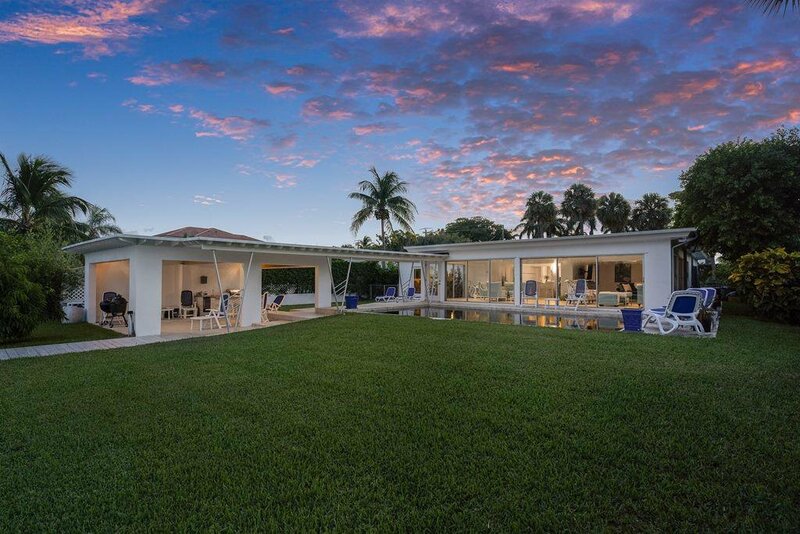 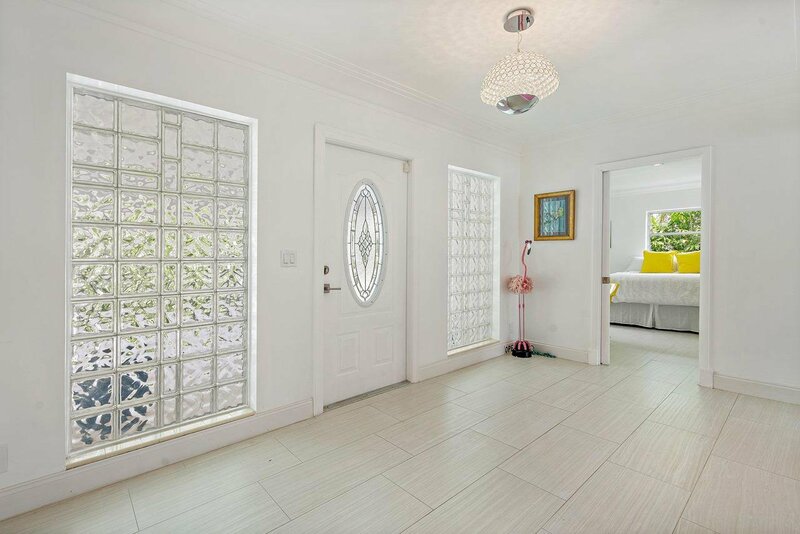 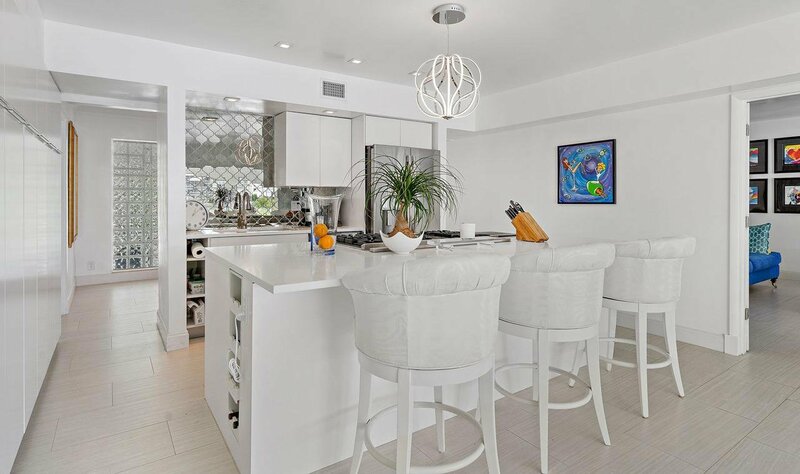 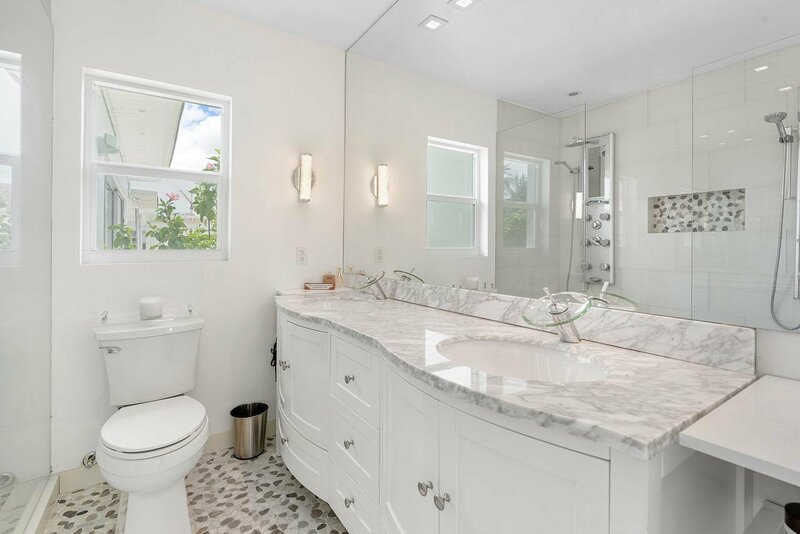 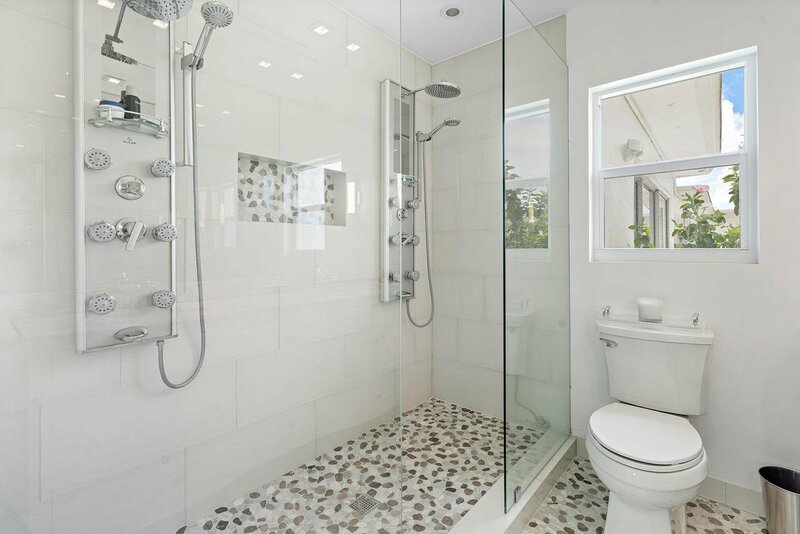 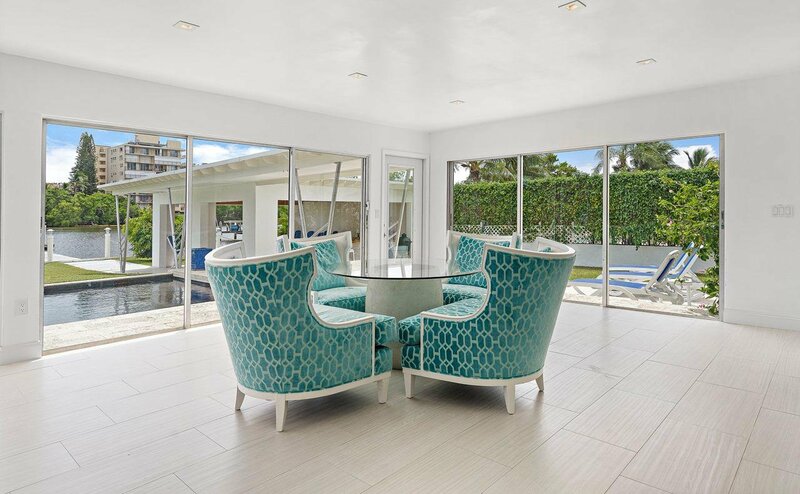 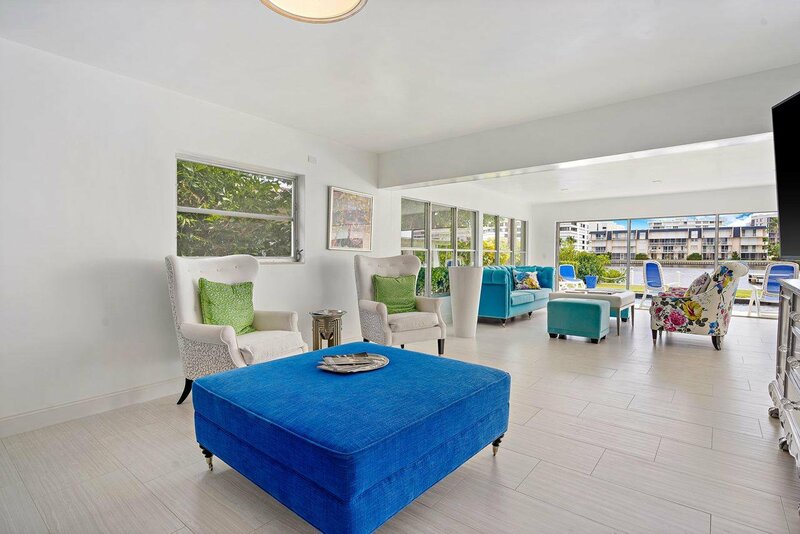 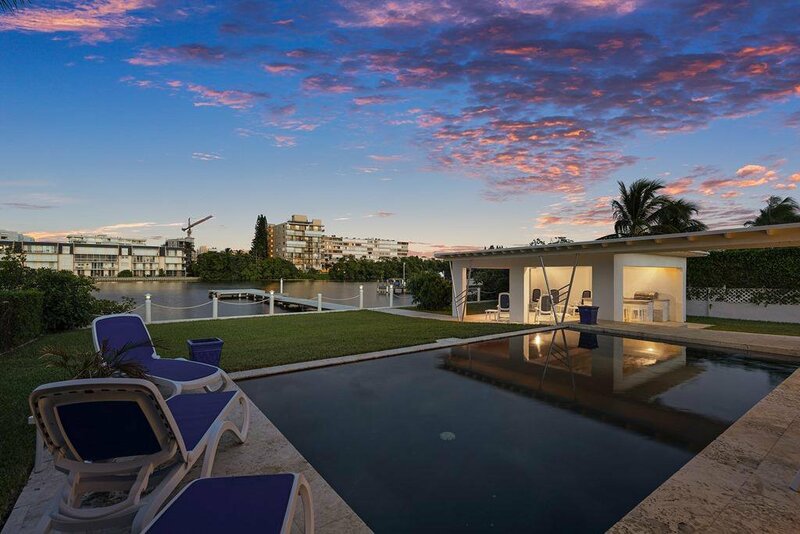 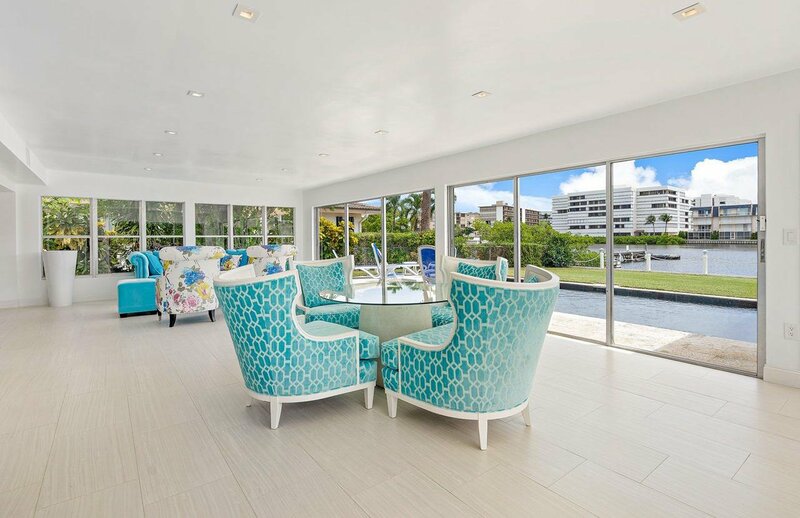 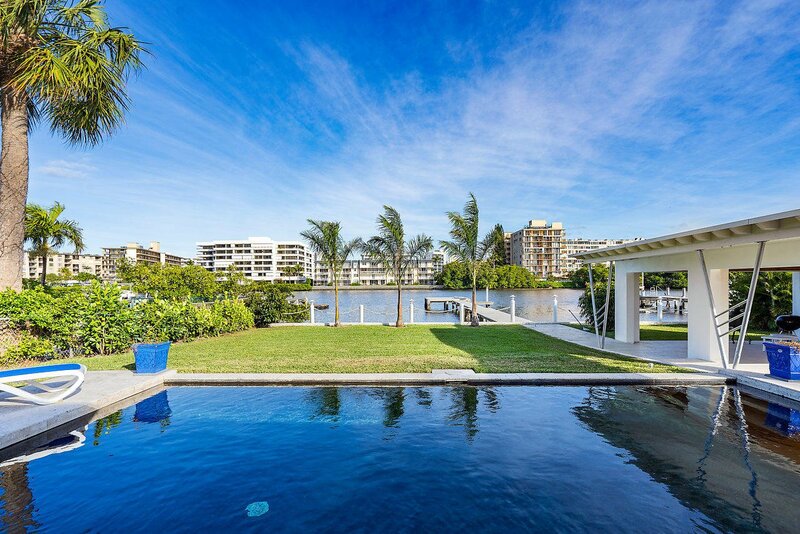 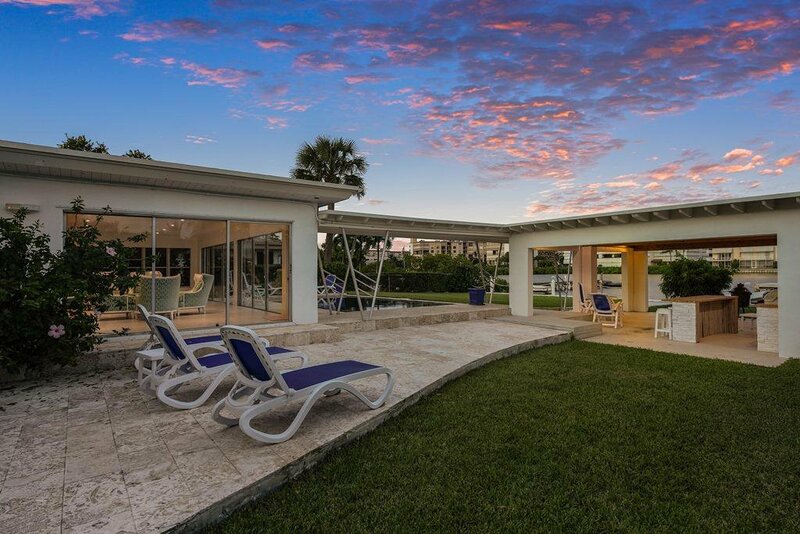 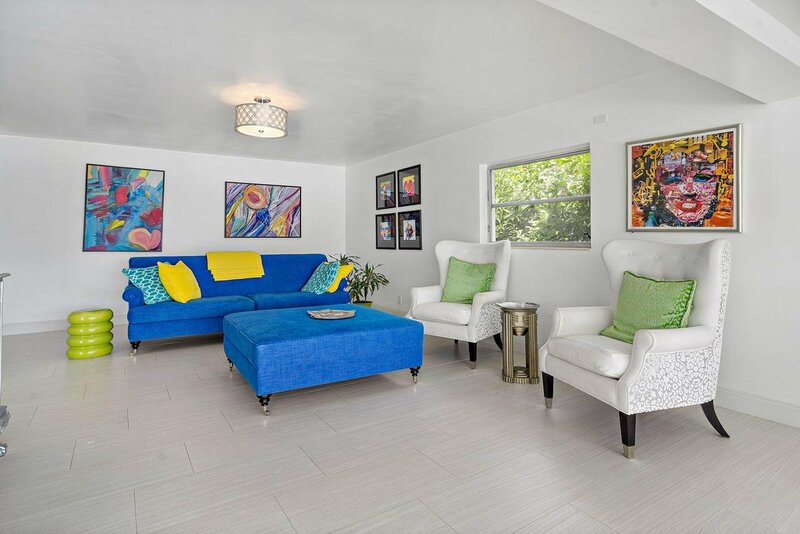 Both the large living room with dining area and the family room are bathed in beautiful natural light and fabulous views of the Intracoastal and beautiful landscaped yard. 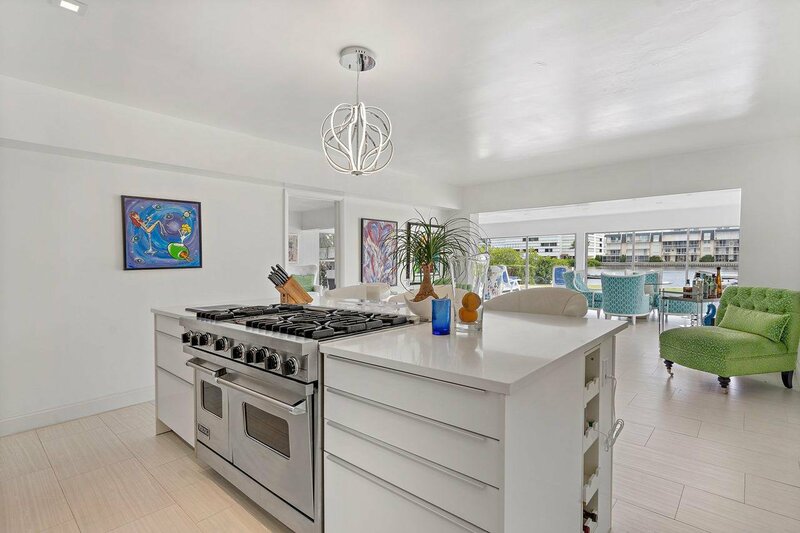 The spacious kitchen includes a dine-in kitchen bar, commercial grade gas range and stainless steel refrigerator. 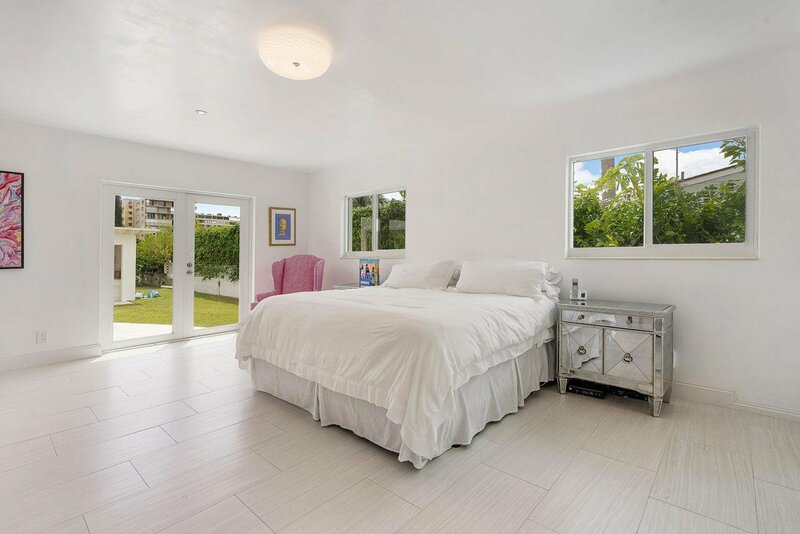 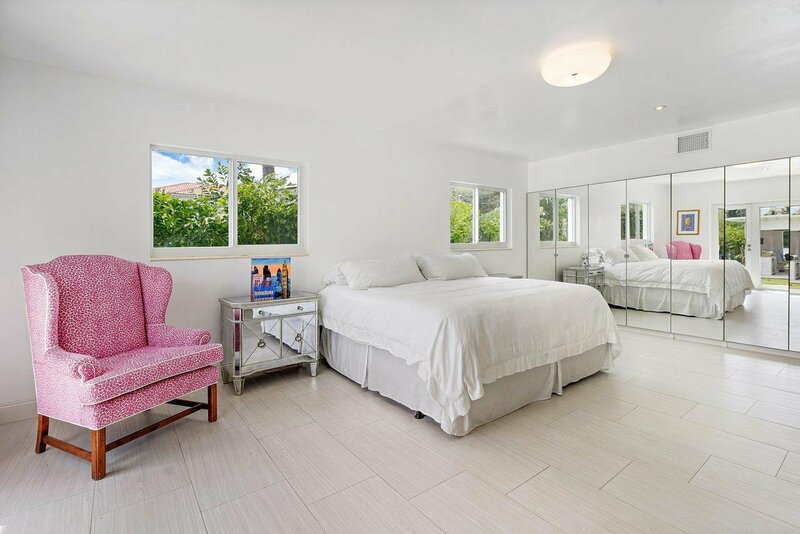 The large master suite has a walk-in closet and lovely views. 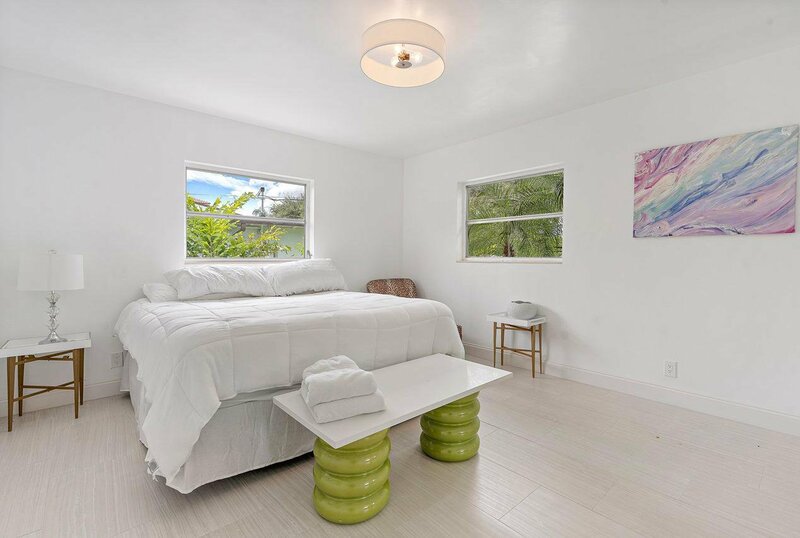 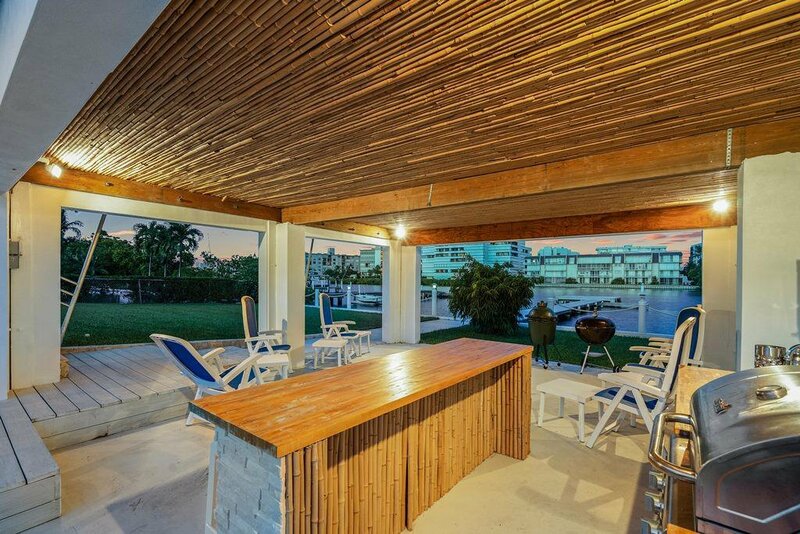 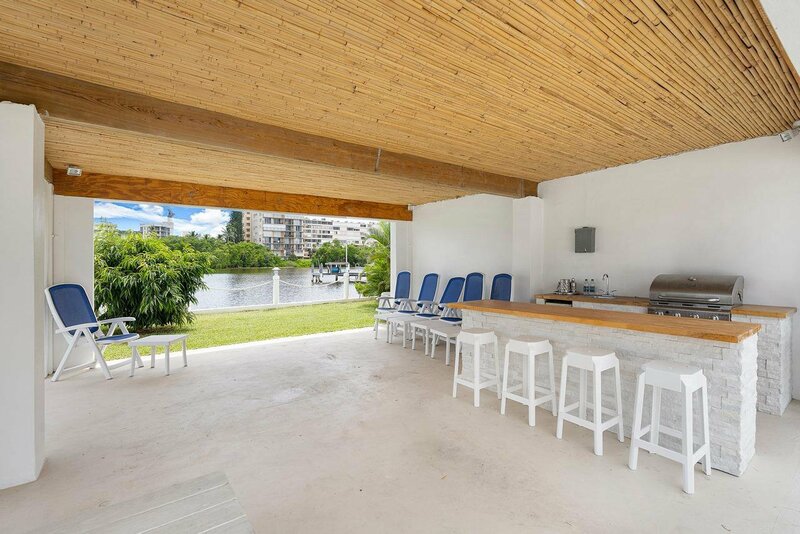 All the bedrooms have direct outside access that lead to the patio, pool and boat dock. 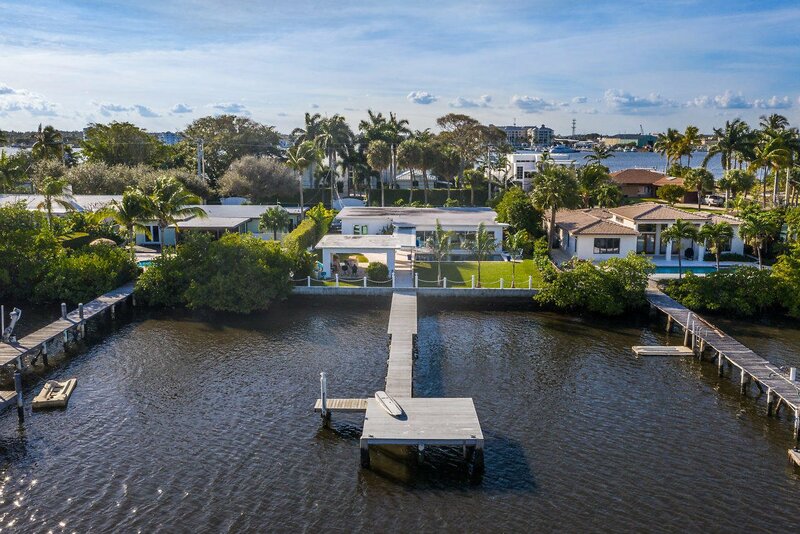 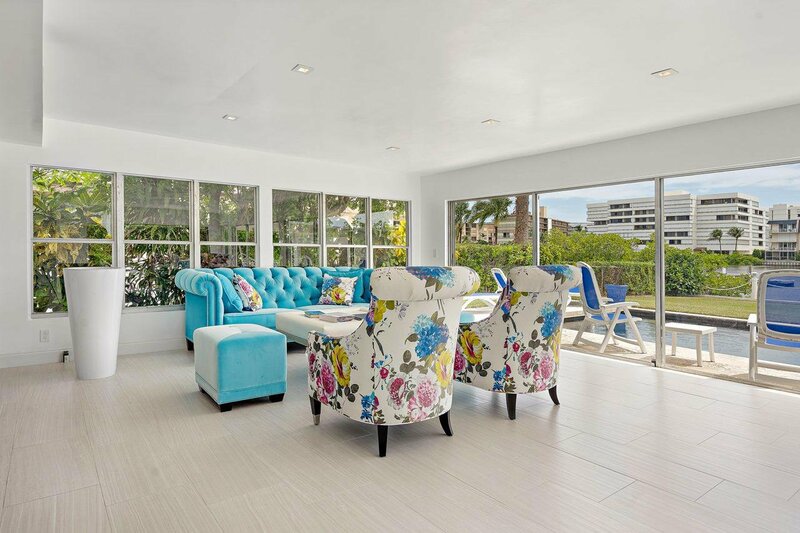 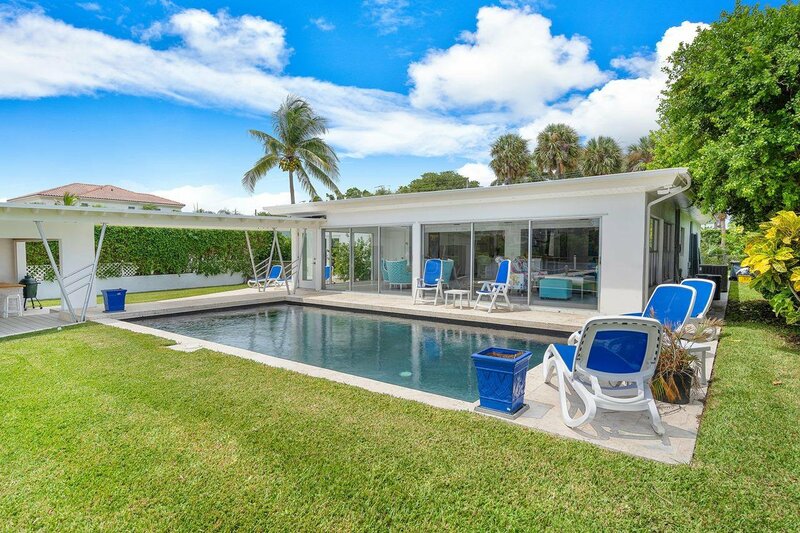 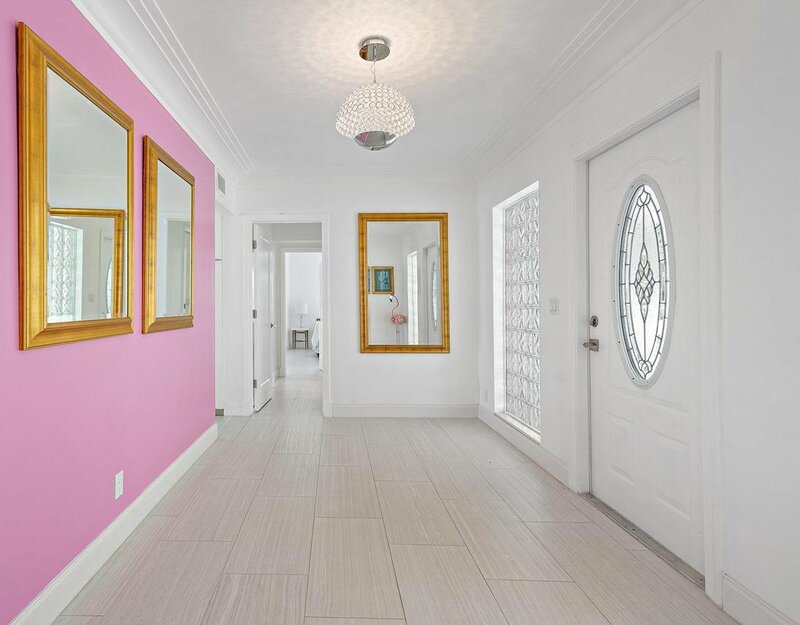 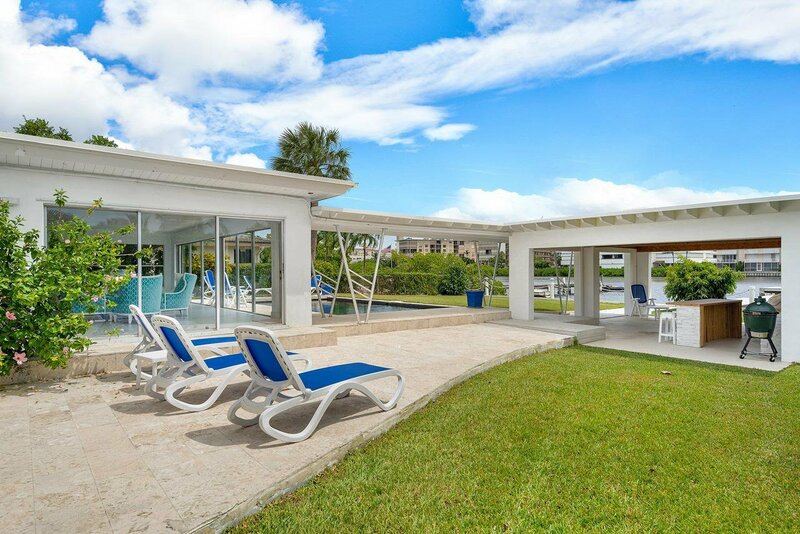 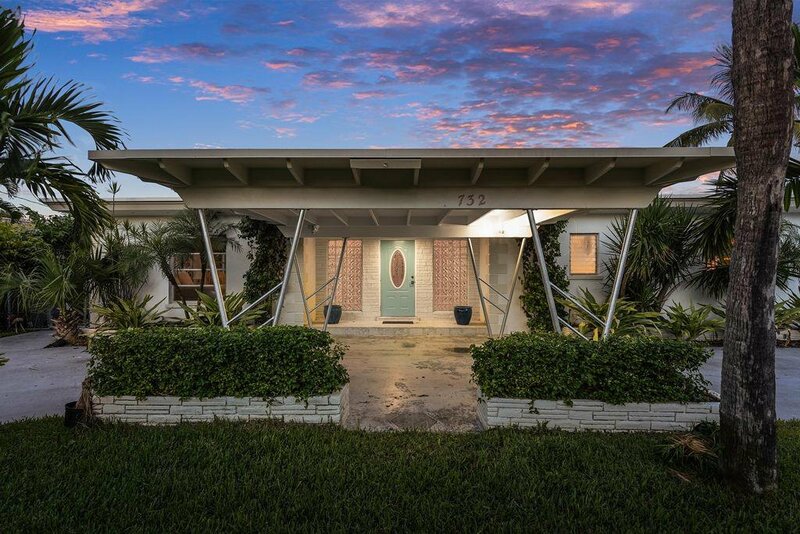 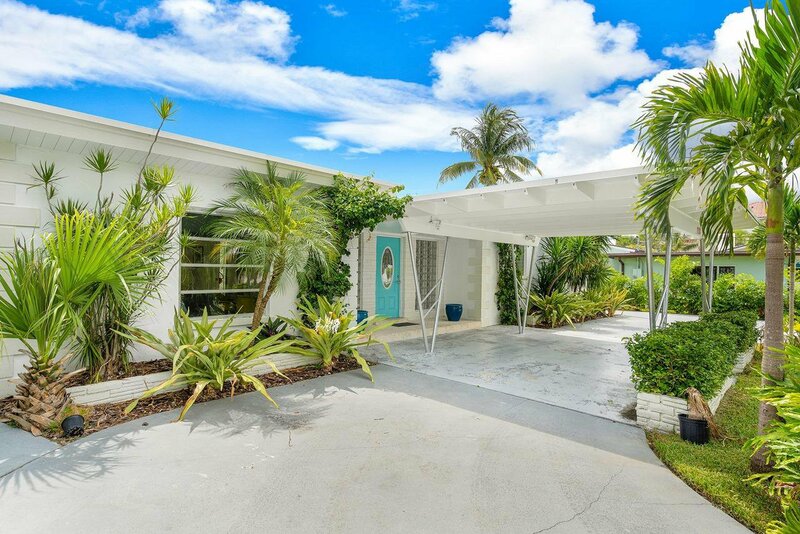 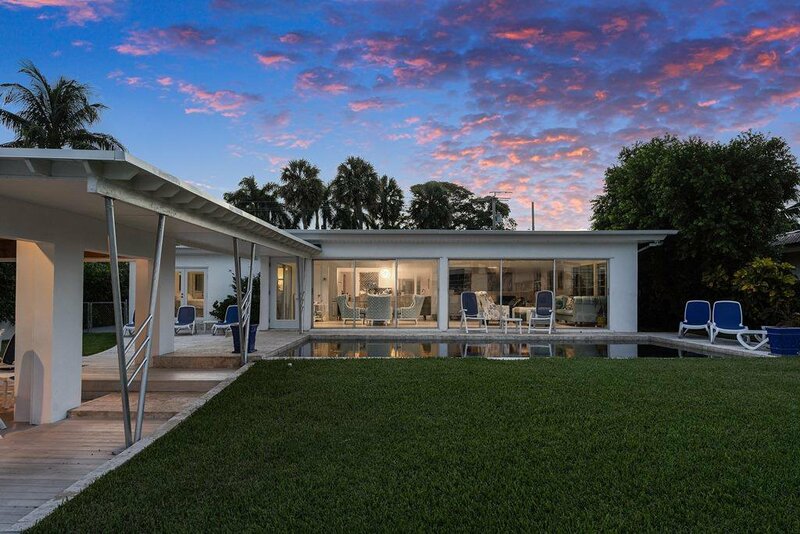 Hypoluxo Island is conveniently located within 15 minutes of Palm Beach, Delray Beach where you'll find some of south Florida's best dining and shopping, and both PB International and Ft Lauderdale airports are within easy driving distances.